(CBS/AP) LOS ANGELES - Health officials issued a do-not-drink order at a downtown Los Angeles hotel on Tuesday after the body of a missing Canadian woman was found in the rooftop water tank. The body of 21-year-old Elisa Lam was discovered Tuesday morning at the bottom of one of four cisterns on the roof of the historic Cecil Hotel near Skid Row. The tanks provide water for hotel taps and would have been used by guests for washing and drinking. Los Angeles County Department of Public Health officials issued a do-not-drink order while its lab analyzes the water, said Terrance Powell, a director coordinating the department's response. The disclosure contradicts a previous police statement that the water was deemed safe. Results of the testing were expected Thursday morning. Powell said the water was also used for cooking in the hotel. A coffee shop in the hotel would remain closed and was instructed to sanitize its food equipment before reopening. A maintenance worker at the hotel found Lam's remains after guests complained about low water pressure. Police are working to determine if her death was the result of foul play or an accident. LAPD Sgt. Rudy Lopez called it suspicious and said a coroner's investigation will determine Lam's cause of death. 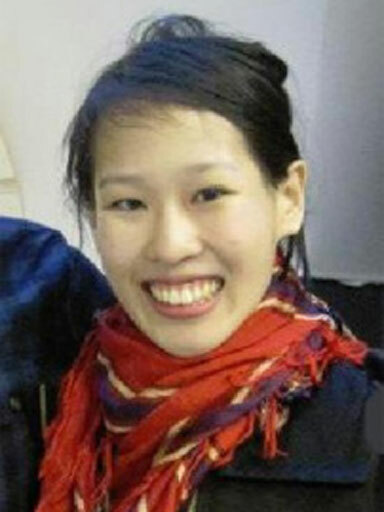 Lam traveled alone to Los Angeles from Vancouver, British Columbia on Jan. 26 and was last seen five days later by workers at the hotel. She intended to travel to Santa Cruz, about 350 miles north of Los Angeles. Officials said she tended to use public transportation and was in touch with her family daily until she disappeared. Lam's body was found Tuesday morning at the bottom of one cistern that was about three-quarters full of water, Lopez said. The opening at the top of the cistern is too small to accommodate firefighters and equipment, so they had to cut a hole in the storage tank to recover Lam's body. The cisterns are on a platform at least 10 feet above the roof. To get to the tanks, someone would have to go to the top floor then take a staircase with a locked door and emergency alarm preventing roof access. The Cecil Hotel relocated guests in 27 rooms to another hotel on Wednesday, but 11 rooms remained filled, Powell said. Those who chose to remain in the hotel were required to sign a waiver in which they acknowledged being informed of the health risks and were being provided bottled water.